Artist collaborations often end after just one track or an EP. However, for Argy & Mama there never seemed to be any question over whether they would continue. Indeed, their first joint release marked the start of a longer journey. Listening to their Recluse EP, which came out in the summer, you already had the inescapable feeling that this remarkable duo had a lot more to say. Consequently, the pair have extended their amiable tête-à-tête to the album-length release Dominonation. This follows two recent remixes of Hot Since 82 and Kele (of Bloc Party fame). Thanks to his production skills and non-stop worldwide DJ tour spinning futuristic techno, Argy, born on the island of Rhodes, has become a firm fixture on the international club circuit. His records have found homes on labels such as Cadenza, Cocoon, Ibadan, Permanent Vacation and Poker Flat. His hit Love Dose remains fresh in the memory. Mama, who lived in London for an extended period, has achieved great success as a singer and live performer. She has already collaborated with musicians such as Munk, Catz n Dogz and Tiefschwarz, as well as opening for bands like Die Antwoord, Kele and Peaches. Her voice is best known for the hit single Corporate Butcher with Tiefschwarz and remixed by Solomun. 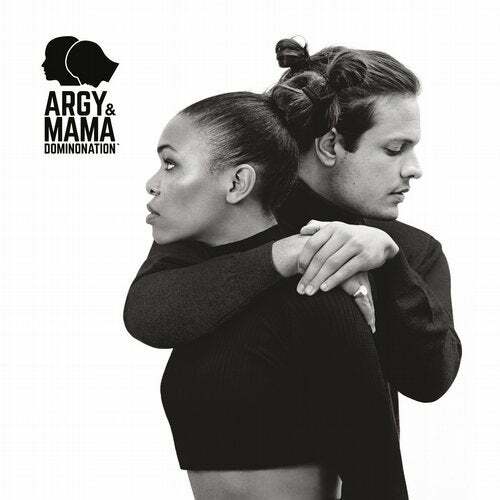 As Argy & Mama the two artists let their love for music flow at full force. Their first album brings together eleven pieces that are soaked in expression and inspiration. House appears in various guises, alongside 2-step and garage influences, and we can clearly hear a penchant for the golden nineties. Mamas passionate, multifaceted singing style allows the full character of Argys arrangements to flourish. This gives rise to tracks with a vivacious catchiness, where intelligently composed rhythms and grooves meet rich emotions. For examples you need look no further than house bombs such as Niche or the stirring Deep Found Vibe. Meanwhile, Staring At The Wall with its stunning piano hook evokes a massive UK rave feeling. You suspect that after this album there is still plenty left to tell in the story of Argy & Mama.